We've done a lot of planting this weekend. Soon I'll have fresh homegrown vegetables for my martini. 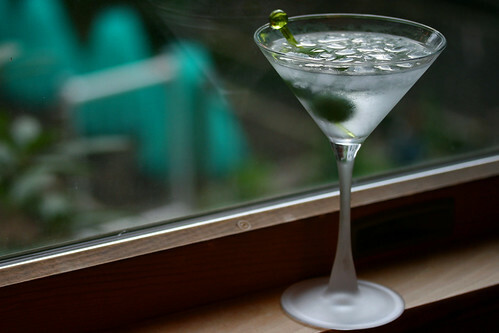 Radish, then carrots, then cucumbers, onions, melons, apples, pears .... And maybe I can discover a new martini this year. Today's martini is traditional - a couple of nice olives. Cheers! And i just want to thank you for helping me realise my passion. I am now looking for farm land, away from this concrete polluted jungle where I can do my life's work. Again thank you for inspiring me. I hope one day I can do the same for someone! I am really jealous!!! What fun. cheers to spring and getting our plants in the ground! we have nice gentle rains here, brings tender plants and lots of WEEDS! Hendrick's gin is fabulous, I hope you enjoy it.